Enjoy the real taste of your cool cold drink. 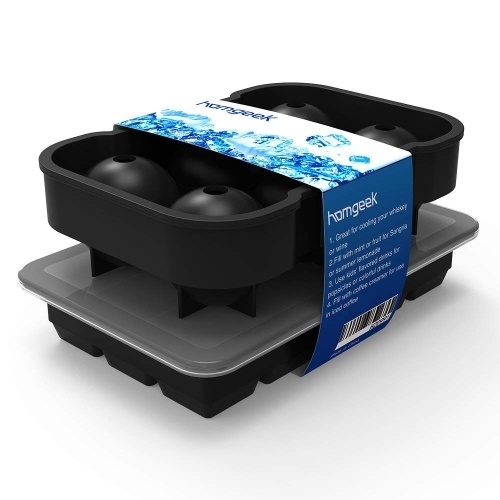 Homgeek ice cube trays let you enjoy your drink without the water dilution of other ice cubes solutions. Impress your friends and family with this cool cubes. 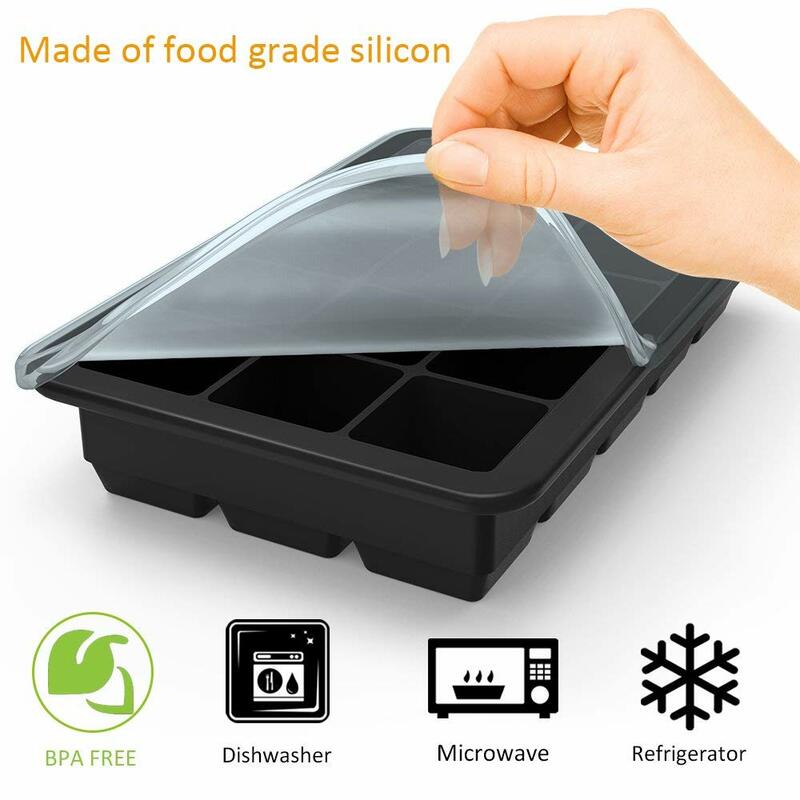 Food grade silicone ice cube tray, FDA approved, BPA free, no added smell or flavor, can be used for as a silicone baking shape and chocolate in shapes. This smart tool prevents spills and keeps ice cubes from absorbing freezer odors. 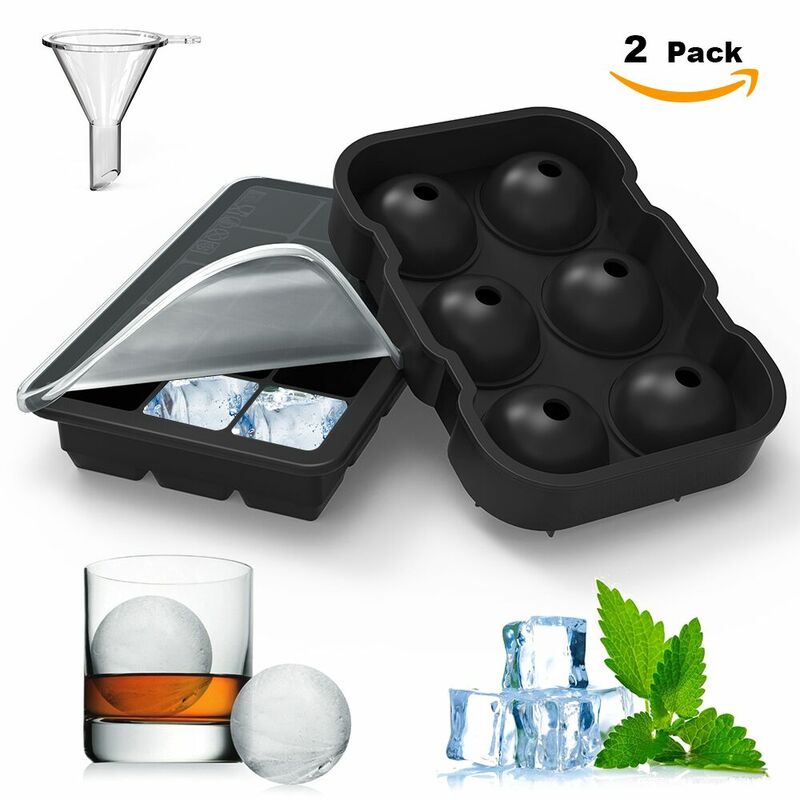 Comes in a pack of two, 15 square ice cubes and 6 large square ice cube. 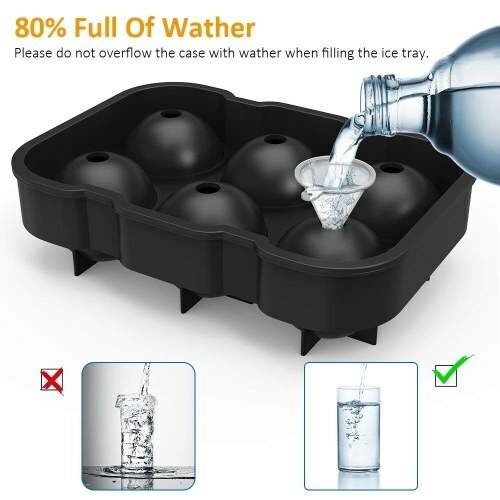 so you can make a lot of ice same time. Just fill it with water, juice or other food as you need, and then place in freezer for a few hours. 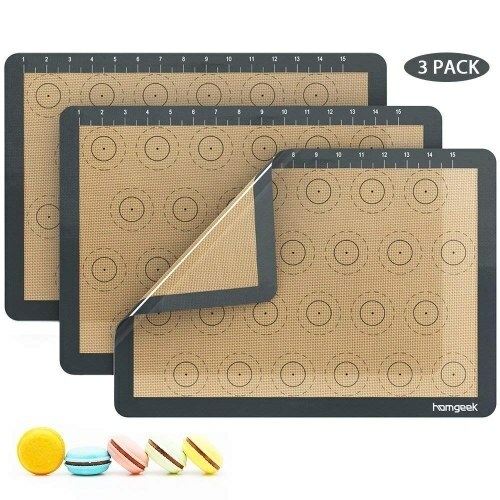 suitable for home, parties, bar, and camping etc. 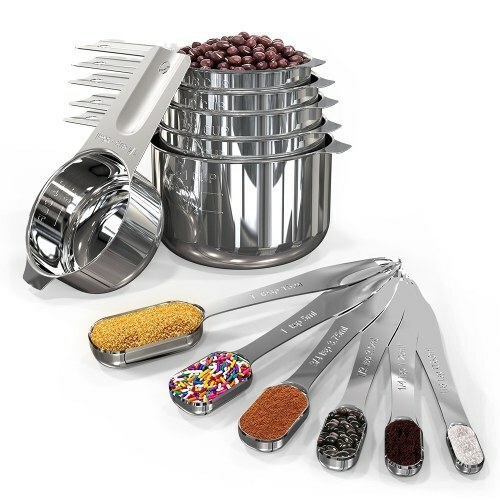 you can fill the mold with your favorite drinks as like coffee, fruit or wine etc. 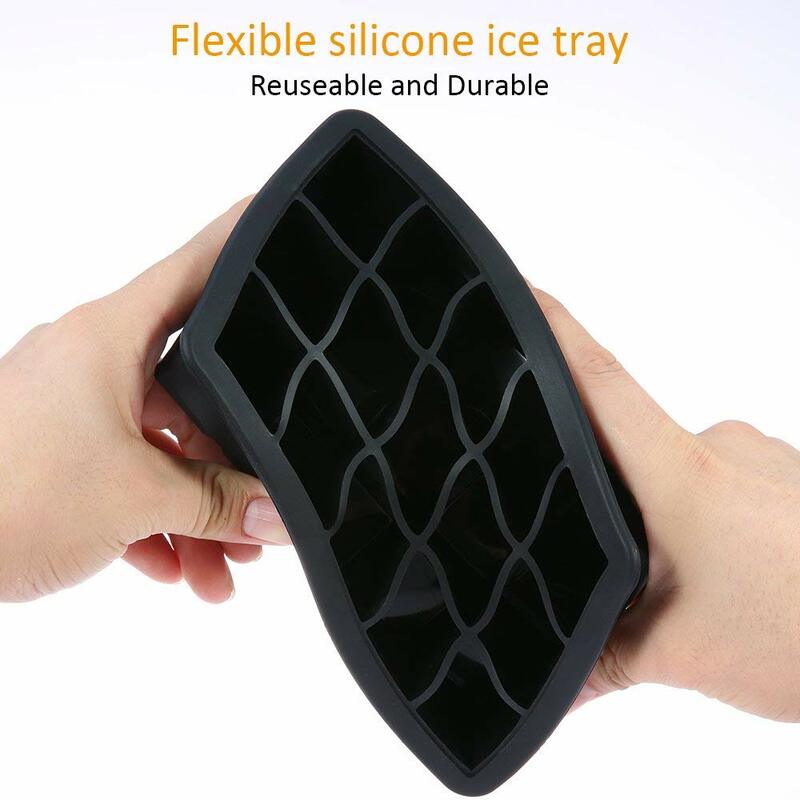 The flexible plastic can help you to get the ice, just pressing the tray bottom lightly, the ice will be separated, no need for bending and twisting, you can get a piece or more pieces ice as you like. 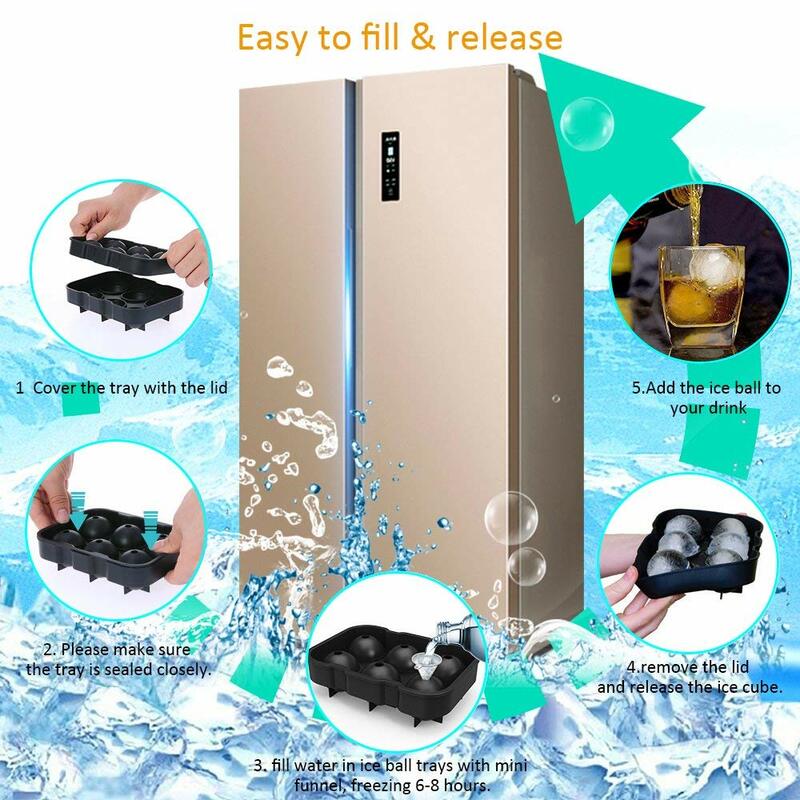 Simply place in the dishwasher, easy to washable and stack in freezer. 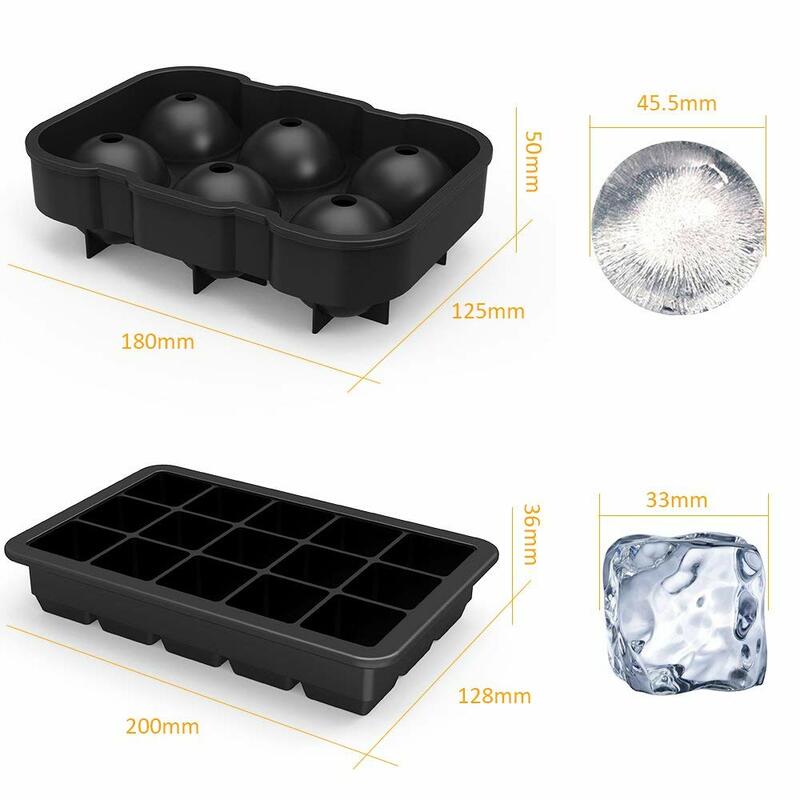 Heat-resistant of -40℉ to 464℉, can be safely used in the freezer, microwave and oven. These amazing ice cube trays can also be used for a variety of purposes. Not only make ice, also try freezing juices, cooking wine, stock, soups, leftovers and baby food, you can even try more. 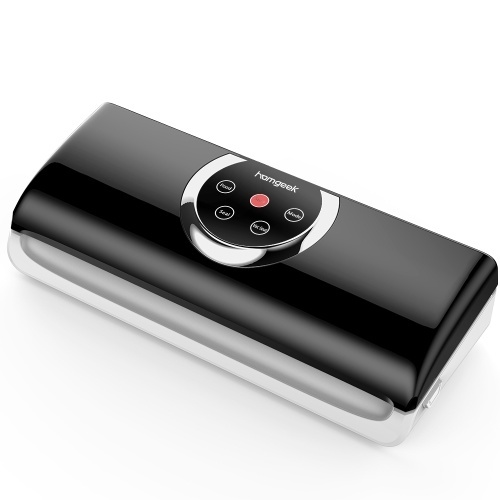 A cool gift for holidays, Christmas, father or mother day and birthdays. 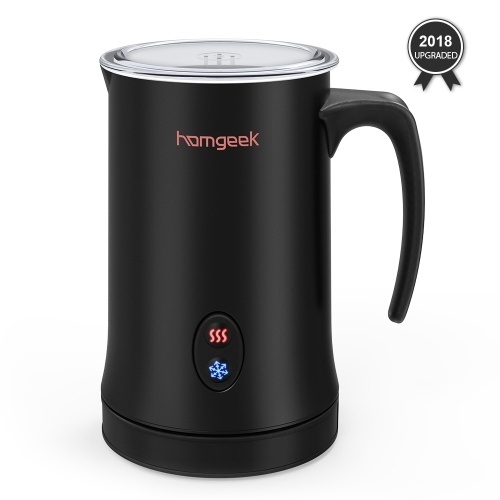 First-time use：please soak in hot water for sterilization. After use：Please wash and dry it for extended service life.